Spain and Greece already have mass youth unemployment and now they face austerity cuts. The same cuts we face here in Scotland. 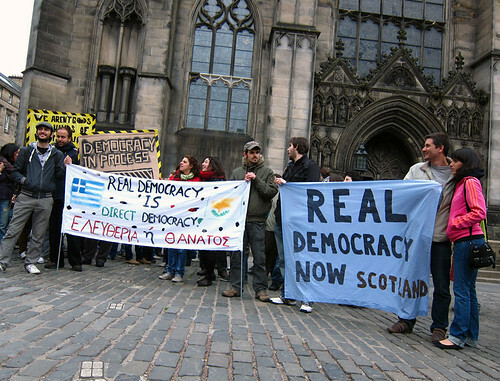 Spanish and Greek youth have taken to the streets of Edinburgh in solidarity with the mass protests in their countries. Scots take note.